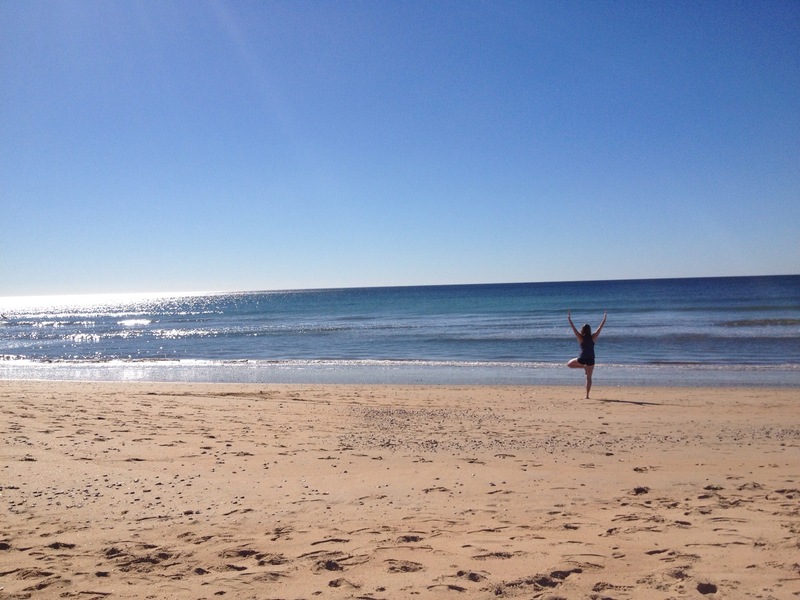 Jane and I took advantage of our day off and enjoyed a sunny winter’s day at the beautiful beach in Punta Umbria. The few people who walked by were dressed in layers, but the Canuck in me couldn’t resist fully enjoying a February beach day, bikini and all. Hopefully this becomes a Monday morning routine — not sure if there is a better place for a sun salutation. This entry was posted in Ramblings, Spain, Travel and tagged beach, Monday, Punta Umbria, yoga by kshap. Bookmark the permalink. What a lovely way to start the week! Stay with your breath and you’ll find balance.